Here is a story from a cancer survivor and her journey through the diagnosis. Cancer is a complex illness and being diagnosed with cancer sets off multiple reactions and changes – mind, body, and spirit. 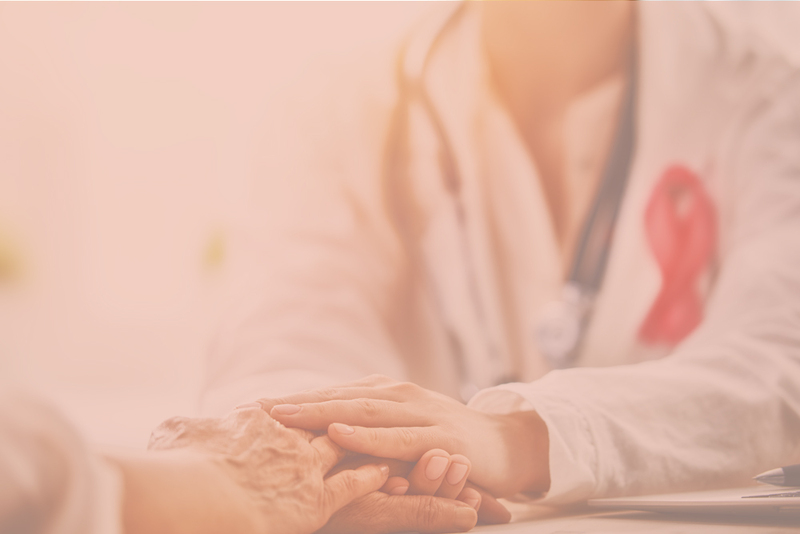 While the initial activities involve conventional methods, such as chemotherapy, surgery, and radiation, many patients seek out complementary and self-care methods to add to these approaches to cancer treatment. Here is the story from cancer survivor, Jenny Leyh, and her journey through her diagnosis. In this series, you will be able to get her point of view as she explains what it was like from her first doctor’s visit to her last days of radiation and the different methods of healing she learned along the way. While conventional methods—chemotherapy, surgery, and radiation—are the rule, can complementary and self-care methods strengthen these approaches to cancer treatment? Chemotherapy has long been the standard of care for treating cancer. For most cancer treatments it is the first line of attack— an army that is sent in to obliterate the enemy cells. But the battles often leave a war-torn landscape in their wake. Chemotherapy, radiation, and immunotherapy are all effective means of killing cancer cells. These treatments also wreak havoc on the entire body causing pain and disrupting a patient’s quality of life. Many cancer patients and their doctors are integrating alternative practices into their treatment plans in an effort to boost overall health and combat some of the unavoidable side effects of traditional medical treatments. I was 33 years old. My husband and I had just learned we were expecting a little girl—our first. I had begun planning out the nursery and was overjoyed at becoming a mother. Then I got a call that stopped me in my tracks. I was diagnosed with triple negative breast cancer, stage 2b, with a grade 3 tumor on May 18, 2016. Due to the aggressive nature of this particular subtype of breast cancer, treatment had to begin as soon as possible. I was told that neoadjuvant chemotherapy—chemo before surgery— would be the most effective line of defense and would not harm the baby. My medical oncologist worked closely with my OB-Gyn to determine the most effective treatment plan possible that would also keep my baby safe. I felt like I was in good hands and my daughter was heavily monitored up until she was born. Much like the side effects of pregnancy, reactions to cancer treatment vary highly from person to person. Gastrointestinal side effects rank among the most common. Extreme nausea, diarrhea, and vomiting are nearly synonymous with chemo. I was lucky to not have to deal with those issues. My lot was joint pain, debilitating fatigue, bleeding hemorrhoids, tender finger and toenail beds, and a general flu-like feeling. The joint pain and fatigue were particularly persistent and became increasingly unbearable. I had been an avid yogi for years, so I turned to the practice of yoga as a healthy outlet for pain management. The deliberate movements helped to ease the pain in my hips, ankles and feet, and also gave me a boost of energy. My primary care doctor, Dr. Sydney Morss-Dy, of Johns Hopkins, encouraged a gentle practice. Maintaining a healthy weight and an active lifestyle goes beyond combating side effects—it can actually lower the risk of new or recurrent cancer. The American Cancer Society recommends that adults get around 150 minutes of moderate activity each week. Not only does the exercise help in maintaining a healthy weight and promoting overall wellbeing, but it can also help reduce the influx of negative thoughts that battling cancer brings. It should come as no surprise that diet is exercise’s trusty sidekick in promoting a healthy weight and lifestyle. For Dr. Donald Abrams, an integrative oncologist, formerly at San Francisco General, nutrition is a key foundation in his medical practice. In his introductory consultation with a new patient, he spends half his time talking about nutrition and discussing the patient’s specific diet. “Cancer is a weed and it’s my job to make the garden as inhospitable to the growth and spread of the weed,” Abrams explains. His approach to nutrition is in line with the ACS’s guidelines, and he says that his patients are finding positive results in their overall health. “They just feel better,” said Abrams. Over time, I found that when I regularly practiced yoga and incorporated a light walk into my routine that my joint pain subsided. And a healthy, mostly vegetarian diet helped boost my immune system and increase my energy level. My last radiation treatment was in April, 2017. And although that marked the end of my medical battle with cancer, I am still dealing with some residual effects of the harsh treatments I underwent. In dealing with physical or emotional trauma we do our best to seek out a means to the end of our pain. There isn’t a one-size-fits-all approach to the medical aspects of cancer treatment. Nor is there one for alternative practices. What works for one patient may not work for another. You have to find the one most meaningful and effective for you. Integrative modalities like yoga, nutrition, or acupuncture may not be for every patient. But for me, they formed the best counter-approach to achieve a healthy balance in my fight against cancer.